Chrome...The end result better be worth it! 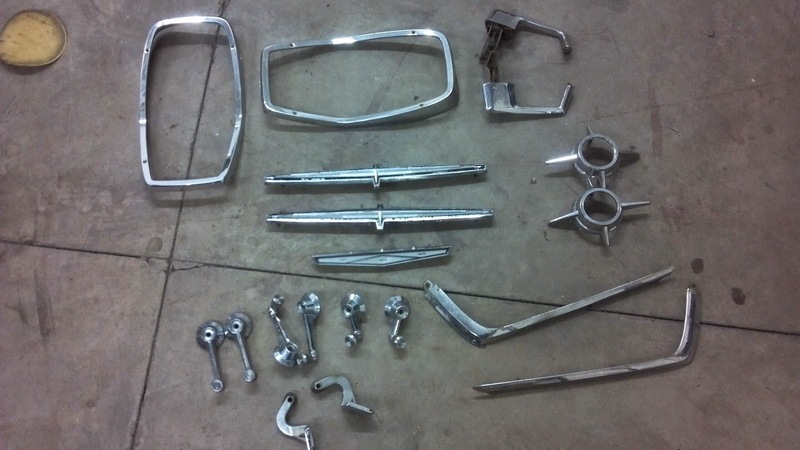 Anyone that has had chrome plating bid for their various car parts can relate to the utter shock that hits you upon hearing the price to have your bright work done. There aren't many options for automotive parts to be sent to on a local level, but the options that are here are ALL expensive. There are good reason's for this. 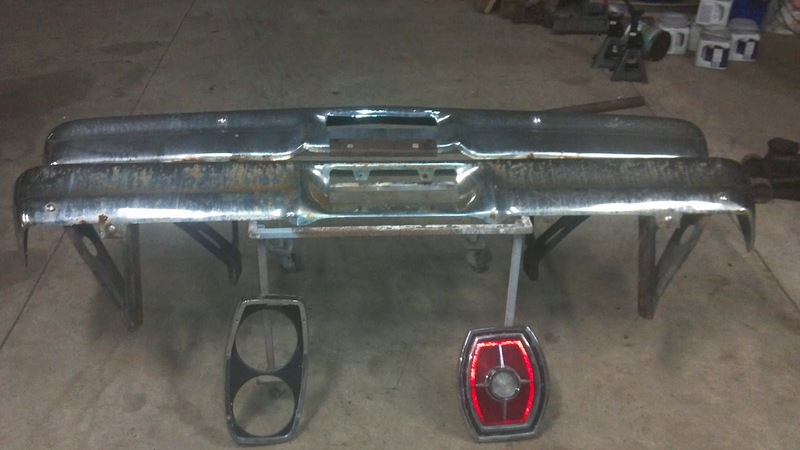 We have found 3 chrome business's in our local area(and we define Local as within Wisconsin). There is the mail option to have them done from out of state, but we like to keep it somewhat local when it comes to services of this nature. All of the trim is removed using tools and pry bars designed specially for removing trim without causing excessive flexing or breaking off clips and studs. Once the trim is removed, we document the starting condition and label any related hardware to ensure it can be re installed correctly once refinished. 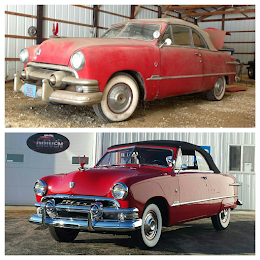 #1 tip for buying a car that needs restoration if you're on a tight budget: Buy one that has all the chrome still in show quality (good luck!). As an alternative, locate a car with minimal chrome trim or go the custom route and make use of body color or removing the trim altogether. 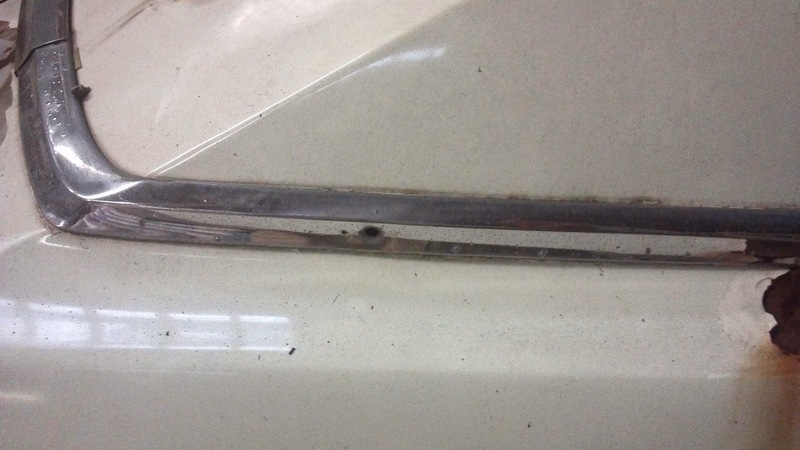 If you must have a car with chrome make sure that all the parts come with the car and that they are at the very least straight, the studs are intact, and they are in restoreable condition(not too many pits/gashes/gouges and enough metal left to plate etc). If they are too far gone, check for aftermarket replacements but shop carefully. The plating will be thinner and less consistent than if you have the original piece dipper. Not to mention potential issues with fitting the pieces on the car itself. The "frosting" all over a car sure does look nice...and it better, considering the price tag. 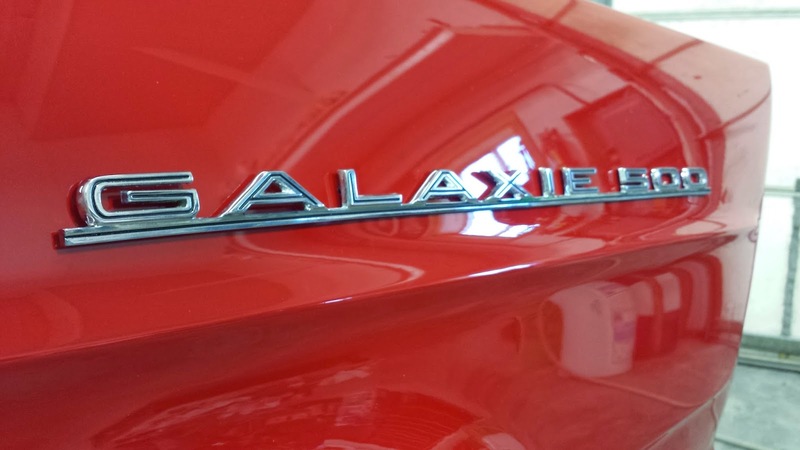 We are DONE with metal work on the Galaxie project. 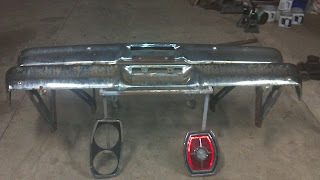 The 1965 car is being fully restored to better than new and we've gotten to the mud work in just over 7 weeks of work. The frame is done and is a roller, the metal work was extensive but now has the car free of rust, and the engine work is in progress. The products that we've used on this car to date are numerous but we did find a supplier that could meet most of our needs to date. Deerborn Classics has been our source for a number of items. The only body panels we bought were for the lower quarters. We discovered real quickly that to buy the quarter that is double the price of the cheaper version was well worth the money. It comes formed to the body lines and saves labor hours in forming the lines and contours around the wheel well(see picture below). For the rest of the patch panels we used plain old sheet metal from a local supplier (Al-Win) and shaped it to form. It's turned out beautifully so far and mud work is underway. The only thing that was difficult was the number of shipments we received from Deerborn. We ordered a large dollar amount of items and they arrived over a period of 3 weeks and ALL in separate boxes. There has got to be a better way to ship for their sake! Needless to say we weren't impressed with the scatterbrained method of delivery, however, most of the products have been up to par.